Iridium offers standard and emergency postpaid subscriptions as well as global and regional discounted prepaid SIM cards, designed to suit your needs. 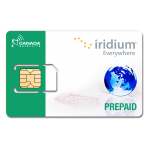 On average it costs about C$50 to C$60 per month to keep an Iridium phone active on a prepaid plan, while postpaid prices are about 20% to 40% more. Convenient prepaid plans that work everywhere on the planet, without long-term contracts or billing hassles. Global and discounted regional options available. 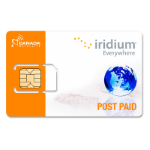 Iridium prepaid plans are typically more economical than postpaid subscriptions. I bought a used iridium phone recently. How do I obtain a sat phone telephone number? And a SIM card? A sim card is included free with all Iridium plans. A phone number is assigned when you activate your service.